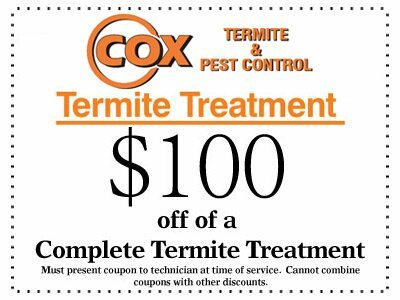 Cox Termite & Pest Control feels very strongly about supporting our military, veterans and first responders. Cox Termite & Pest Control is fortunate to be based here in Savannah, Georgia, the home of Hunter Army Airfield and our neighbors at Fort Stewart in Hinesville, Georgia. We also support the 165th Army National Guard Air Lift Wing in Garden City, Georgia as well as our Coast Guard Air Station Savannah. 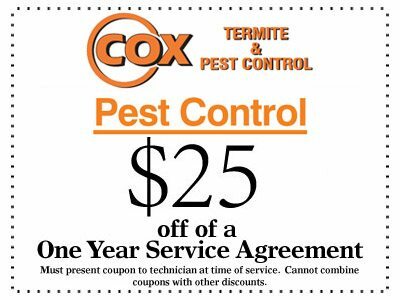 Cox Termite & Pest Control is also fortunate to have several members of our family that are military veterans and one member who is in law enforcement, as well as many friends and current customers that are firemen and EMTs. We say thank you to all military veterans, active duty military and first responders!